Guardians of the Galaxy 2 may be a little less than two years away, but it’s still making progress in its early development. Director James Gunn recently finished the film’s first draft, and the his pitch to Marvel was reportedly so good that star Chris Pratt was brought to tears. Although 2016 will be the year when things really get rolling, Gunn has still been kind enough to drop small hints about the 2017 blockbuster over the last several months. However, yesterday was by far his most the talkative the director has gotten about the movie, delivering some intriguing revelations over social media. As he’s done several times, Gunn took to Periscope recently to talk about Guardians of the Galaxy 2 with the masses. As usual, Gunn was hesitant to get too spoilery about what to expect, but there were still some interesting tidbits he dropped. Thanks to ScreenRant’s recap of the video session, we identified the five biggest things about what to expect from the highly-anticipated sequel. A lot of times in sequels, the filmmakers will kick things up a notch by introducing more characters. 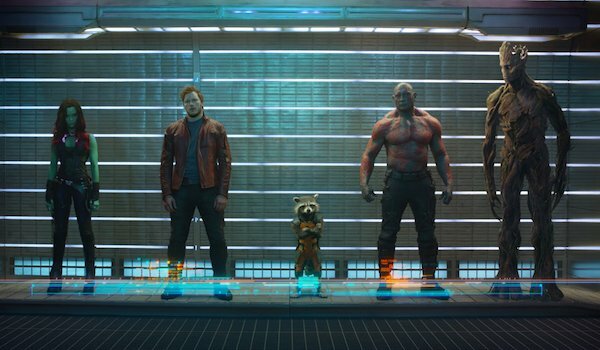 James Gunn is taking the opposite approach for Guardians of the Galaxy 2. The intergalactic sequel will have fewer major players because, in Gunn’s words, these superhero movies are "getting too sprawling and too crazy." He pointed out that one of the main things for the Guardians of the Galaxy franchise isn’t to introduce more people, but to get to know the existing characters better on an emotional level. This means we’ll be delving more into what makes Peter, Gamora, Drax, Groot and Rocket tick, which is definitely something that the fans will appreciate. So while we’re sure to see more exciting action sequences, unique and environments and plenty of humorous moments, expect the overall cast of characters to be a bit more cozy. Despite the deeper exploration of the five main Guardians, there will still be a few new characters that will be joining this colorful world. However, the director also mentioned that he was forced to cut another major character that was in his original Guardians of the Galaxy 2 draft because the story was getting "too busy" - though he hopes he can use them for a future story. The question is who this mystery individual was. 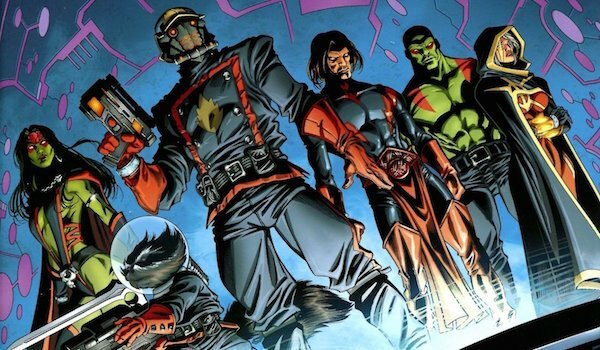 Gunn recently stated that the sequel will feature a new Guardian (who may or may not also be his favorite superhero), so I have a hard time believing that it was this character that was taken out. Whoever this person was, evidently they weren’t crucial enough to the plot if Gunn was able to write them out, so it doesn’t sound like the film will be too affected by their absence. Here’s all we know about Star-Lord’s father in the MCU: he won’t be J’Son of Spartax from the comics (as seen above) and he’s been described as both an "angel" and a "jackass." 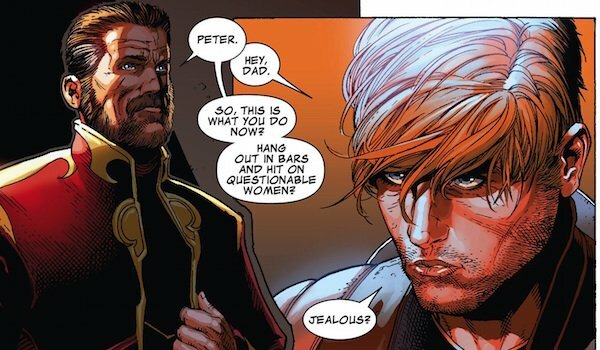 Gunn has only shared the identity of Peter’s father with a select few, but he revealed during the Periscope session that he doesn’t know who will be playing the father yet. That’s not too surprising given that the production is nowhere near the casting process, but I imagine he’s going to start giving it some thought. We speculated earlier in the year that Al Pacino might be a good fit considering his interest in Marvel, but it likely won’t be until next year until we learn who is awarded the role. Whoever ends up playing him, expect the actor to have a huge role in the film, not just because it will be a "story about fathers," but he may be a big player in the MCU as a whole. 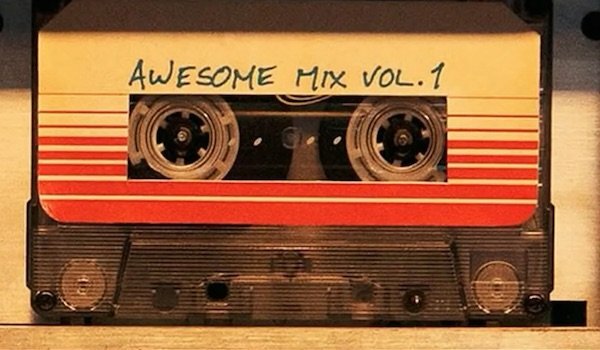 It’s not an exaggeration saying that Guardians of the Galaxy’s soundtrack, titled Awesome Mix Vol. 1, was one of the greatest parts of the film. Not only was the mixtape itself important to Peter Quill, but the songs on it played a big role in establishing different tones and feelings throughout the film. The soundtrack went on to be certified platinum and earn a Grammy nomination for Best Compilation Soundtrack For Visual Media. Gunn has gone on record saying he felt pressure putting together the soundtrack for the sequel, but now he’s revealed that all the songs for Awesome Mix Vol. 2 have been chosen and are inserted in the script. The only song we’ve heard on that tape so far is Ain’t No Mountain High Enough (even though it was included on Vol. 1 in the real world), so it will be exciting to hear what the remaining musical selections are - though there’s no doubt they’ll be as key as the first movie’s songs were. Get ready for more ‘60s and ‘70s groove! This one might have been a no-brainer to some of you, but it does bear mentioning. 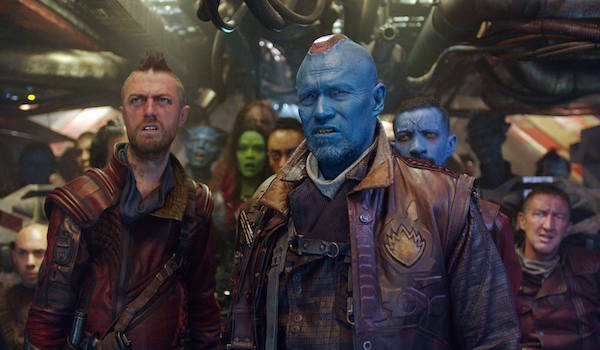 With Michael Rooker reprising his role as Peter Quill’s former father figure Yondu, it only makes sense that Sean Gunn, the director’s brother, would return to play to play Yondu’s first-mate Kraglin (pictured left above). Kraglin didn’t have much to do in the first movie other than accompany Yondu around the galaxy as his right-hand man, but since Peter Quill has his own group of rogues to hang out with, Kraglin is now the second-most important member of The Ravagers. While Guardians of the Galaxy 2 will likely have him doing more of the same, hopefully we can also get another good moment of Kraglin being amused by Yondu’s antics, like when he cracked up in the scene at The Broker’s establishment (which I’d like to think wasn’t scripted).